Ted Harris wrote this old song and it was a massive hit for Charlie Pride. The mandolin / banjo sheet music notes are in the key of G Major. 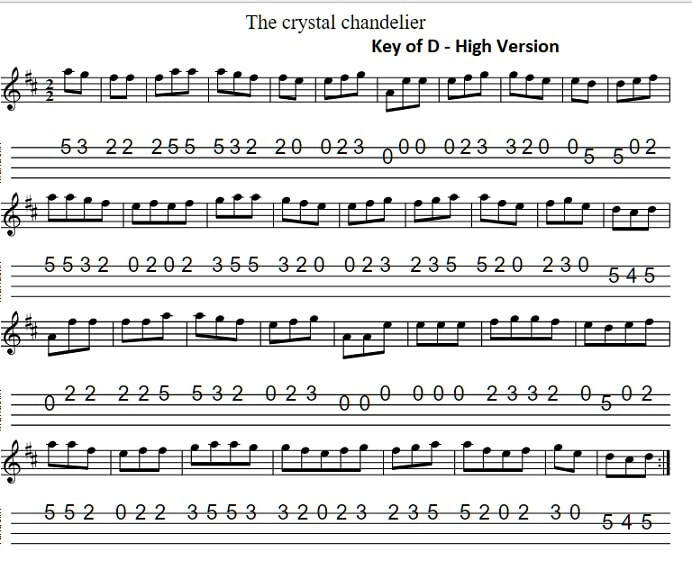 I have also given versions of the sheet music in D and a higher version of D. The letter note version is also suitable for playing on the flute or recorder.